Emerica High Laced is just like the low-profile team shoe but higher. Perfect for black as night vegan ninja skate sessions! 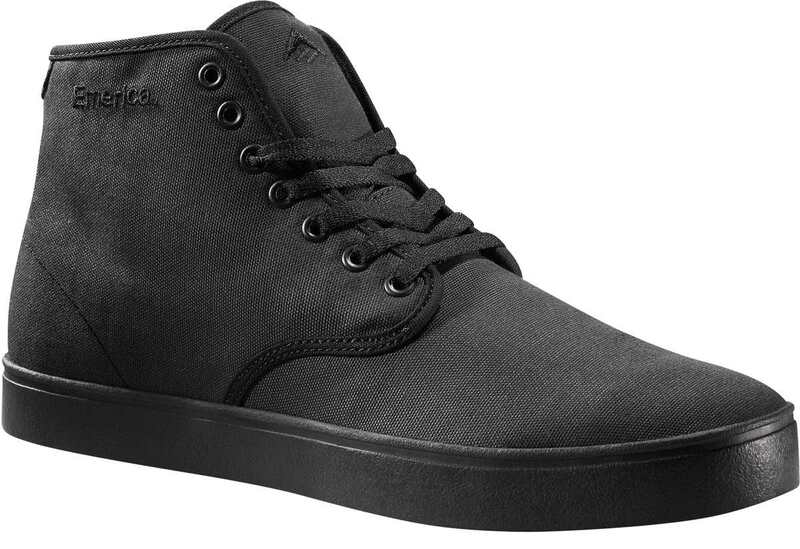 (or other activities involving all black attire) The all canvas upper is a solid cloak of darkness including the Emerica logos and metal eyelets. The thin tongue has elastic bands to keep your feet snug so no laces are needed. All black vulcanized soles to keep things evil.